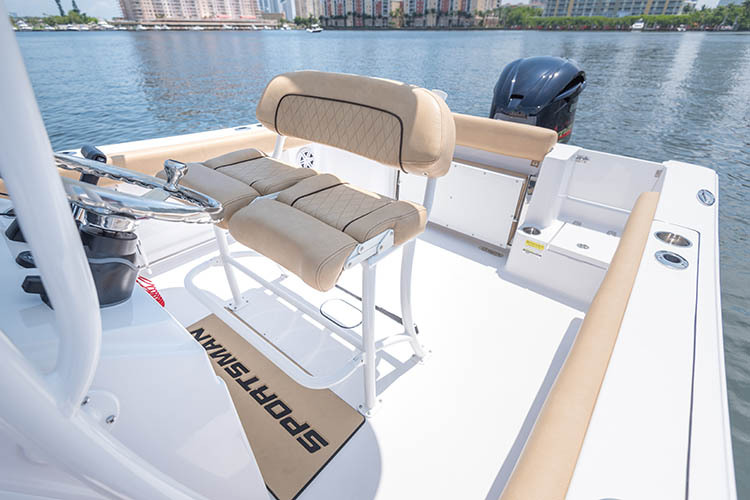 Easily board your boat from the port side with the standard 3-step ladder. 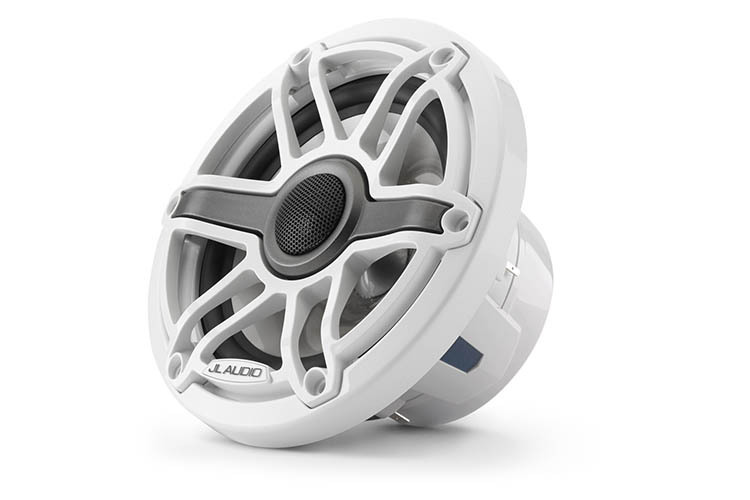 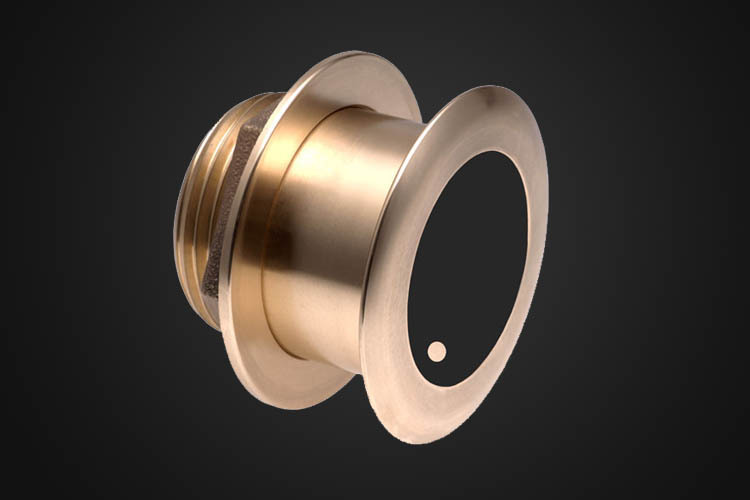 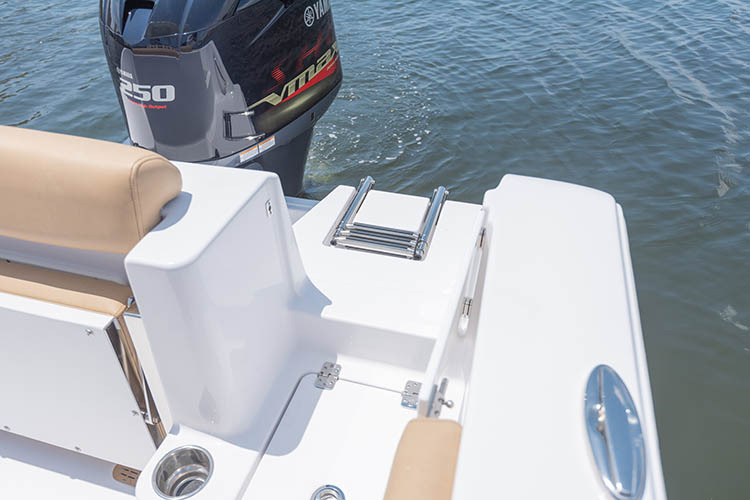 It stows away recessed into the deck when not in use for a clean obstruction-free rear deck. 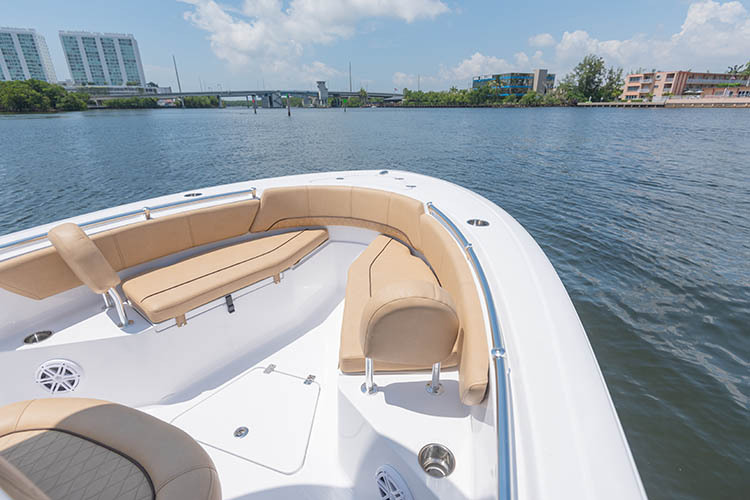 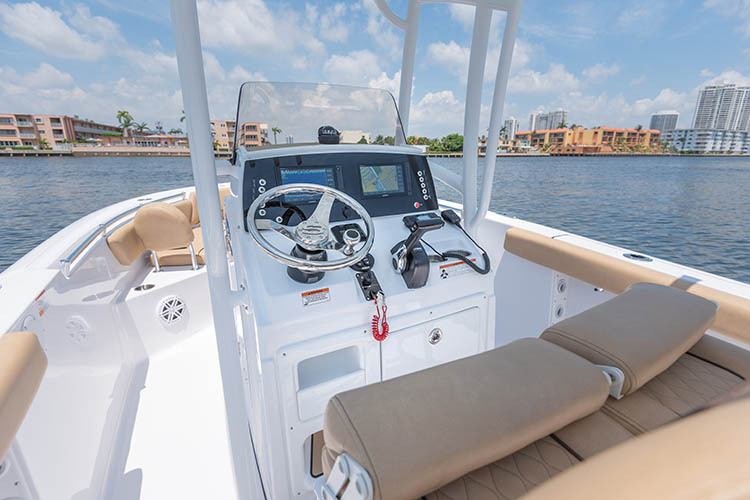 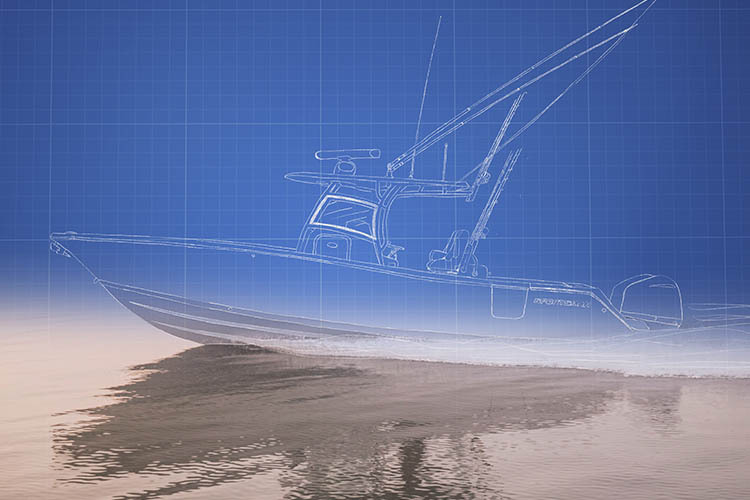 The bow of this boat is designed with entertainment and versatility in mind. 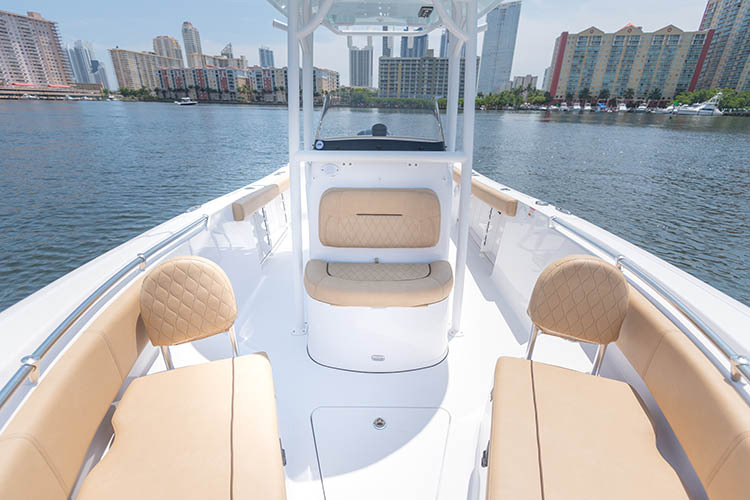 Features wrap around seating with all the cushions, removable backrests, 2 easily accessible large insulated fish boxes, drink holders and speakers to play your favorite tunes. 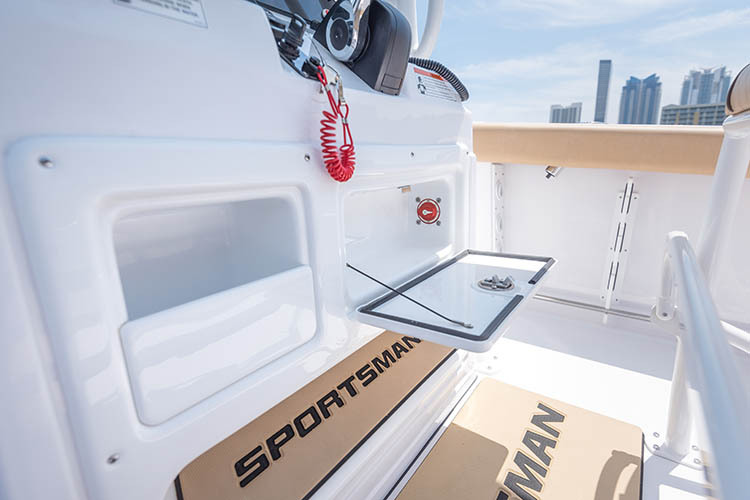 Two large storage boxes at the bow will give you plenty of places to stow away your items. 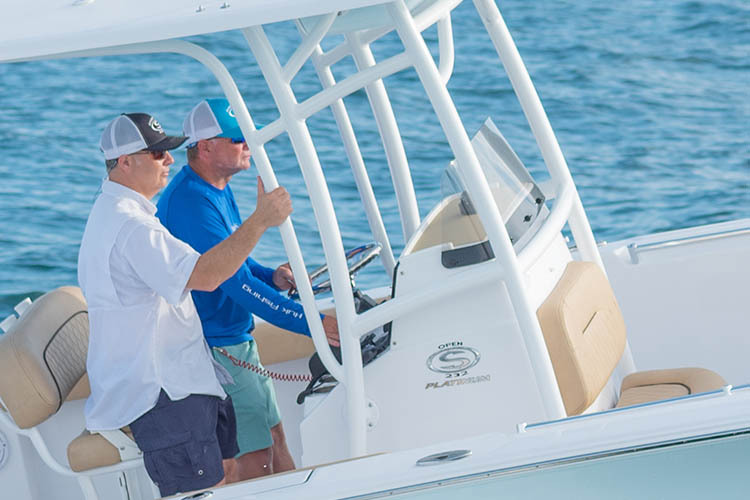 They are both insulated and can be used as fish boxes or coolers. 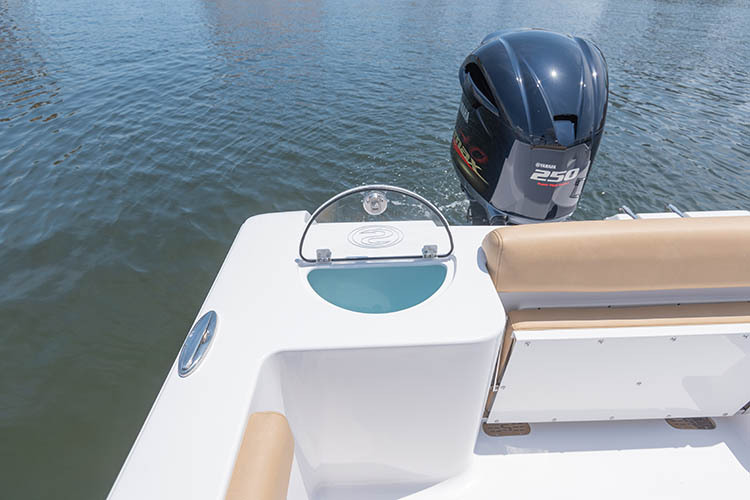 At the center of the bow you will find a lid with some additional in-floor storage with drain. 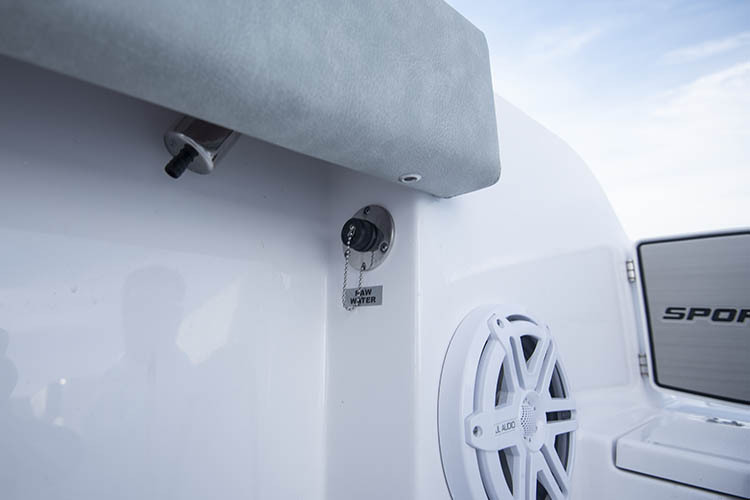 Common uses for this include casting nets, life jackets and other items that can be stored below deck. 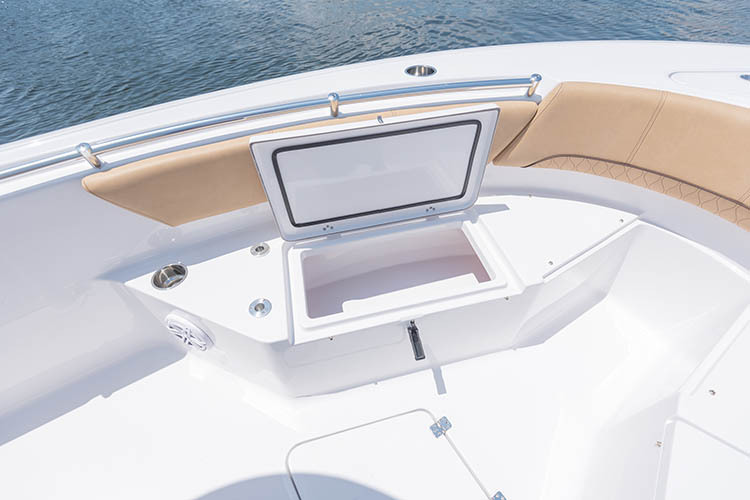 Flip the bottom cushion of the console-front seat to reveal an insulated cooler. 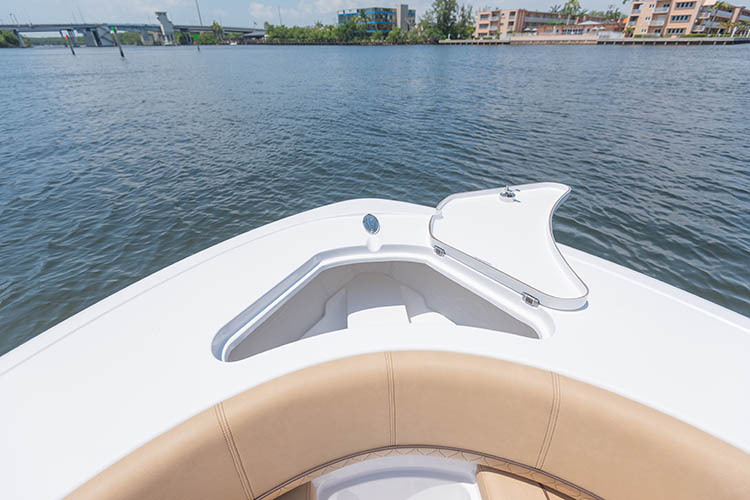 Conveniently located for those sitting up front. 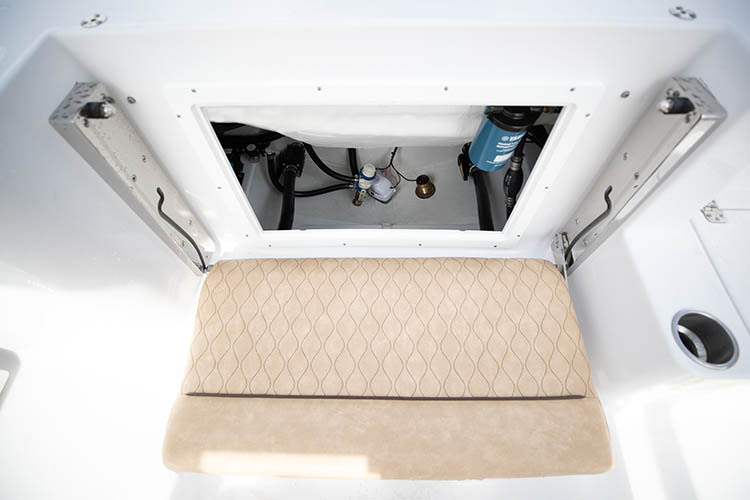 You will also find the freshwater fill hidden under the cushion, if your boat is equipped with the freshwater system. 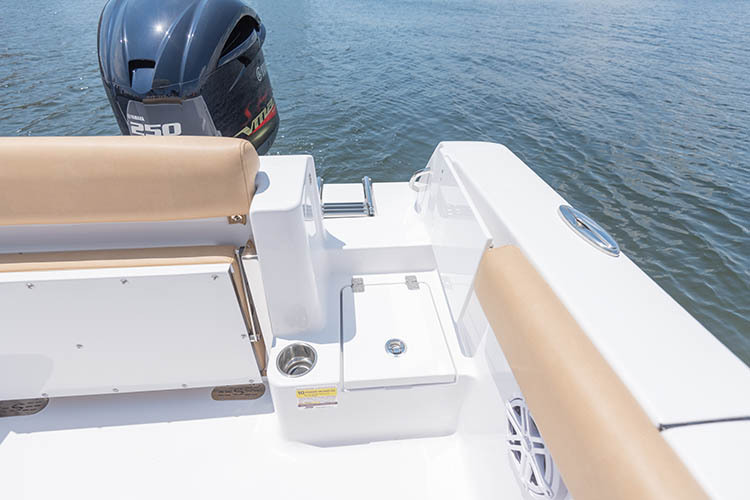 Storage for 6 rods is possible with the under gunwale rod racks. 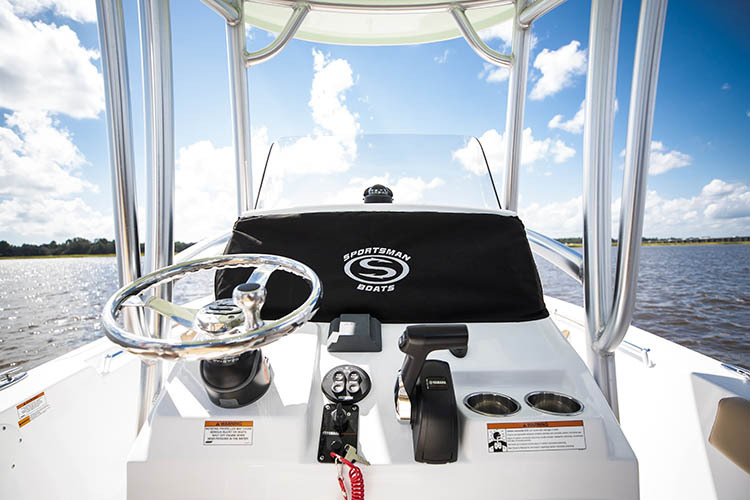 Each can accommodate a full length rod and doubles as a great place to store a gaff or net. 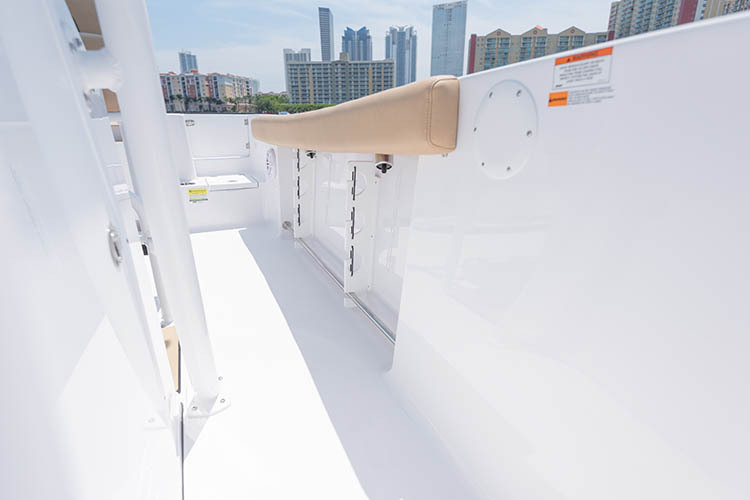 Located under the gunwale rod racks, the toe rail is designed as a brace point when heeling over the side of the boat to gaff or bring in a fish. 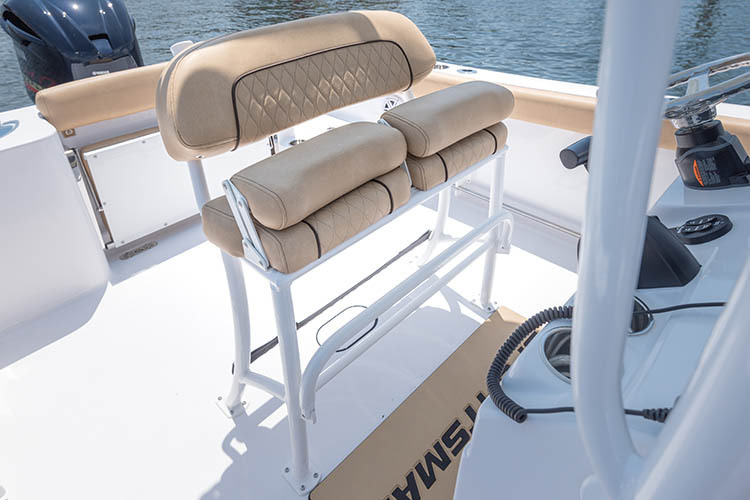 You slide your toes under the bar and in conjunction with the bolster cushion, it provides a sturdy brace for your legs, even if the deck is wet or slippery. 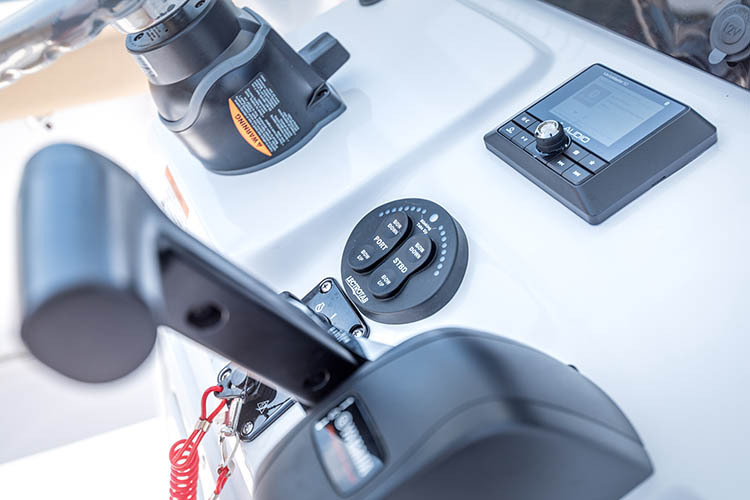 The electromechanical trim tab system features self retracting capabilities. 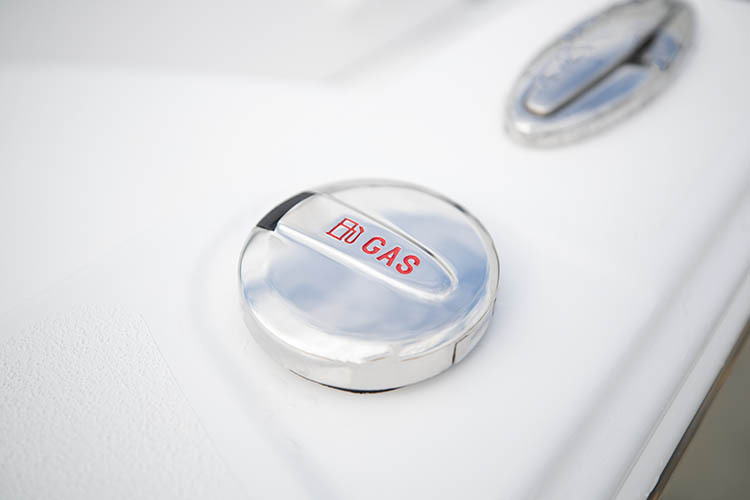 When the key switch is turned off, the tabs will automatically retract completely. 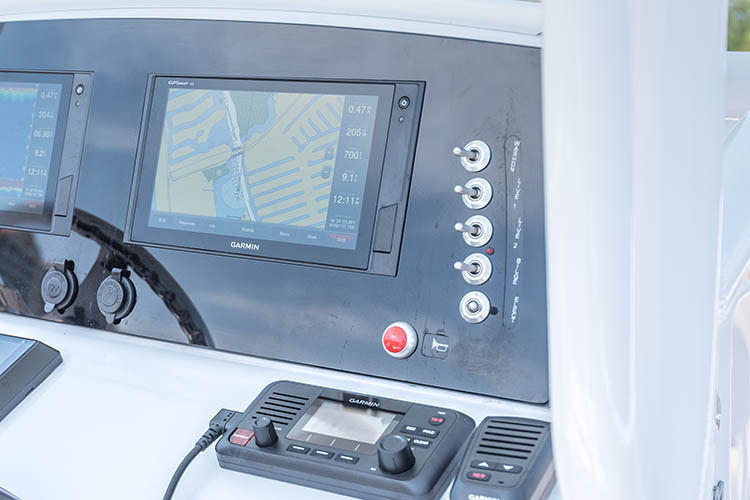 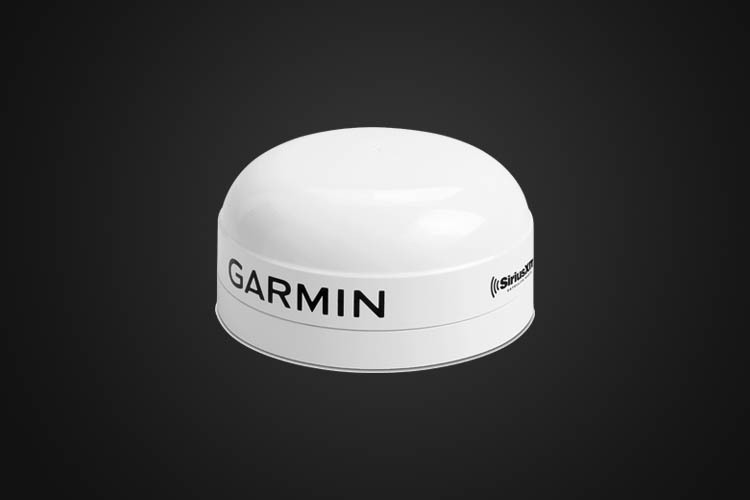 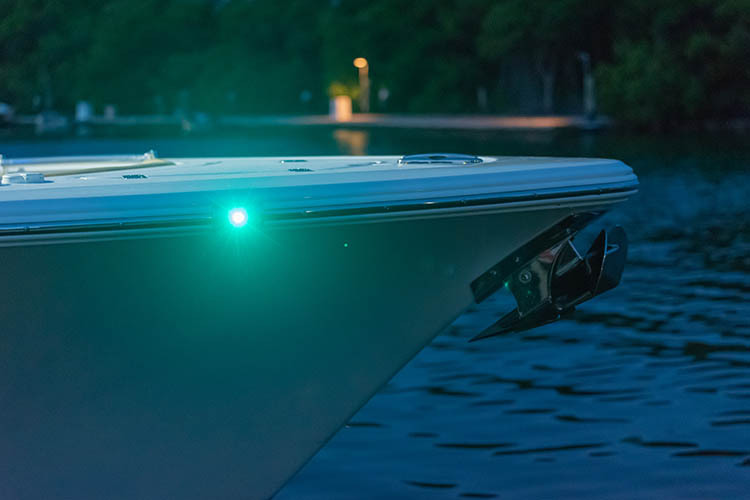 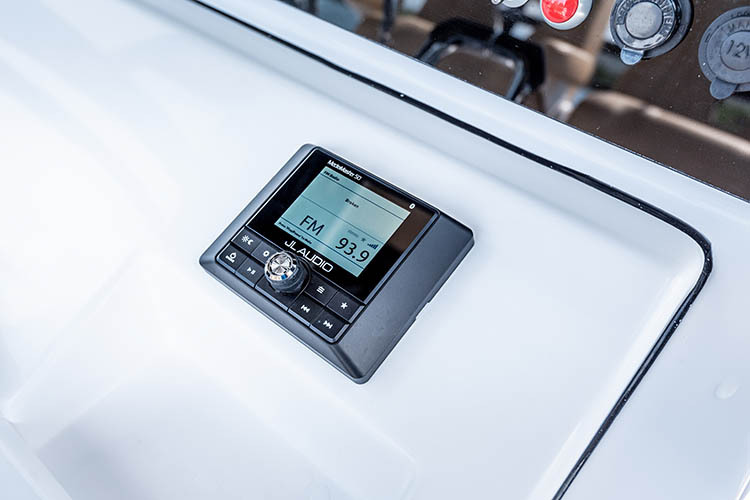 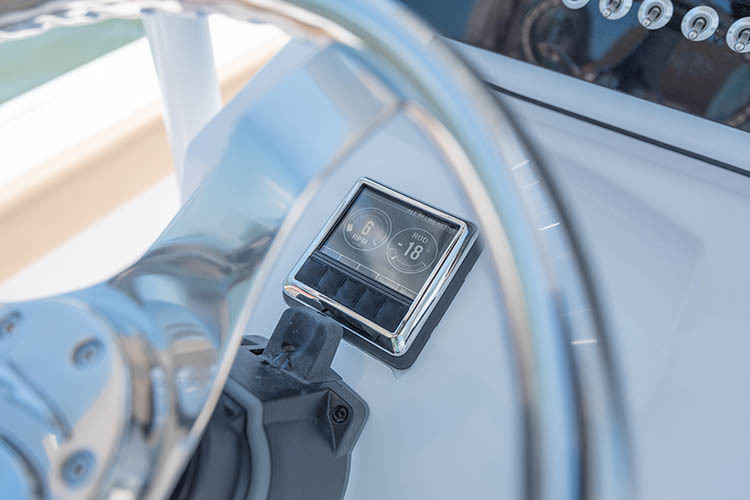 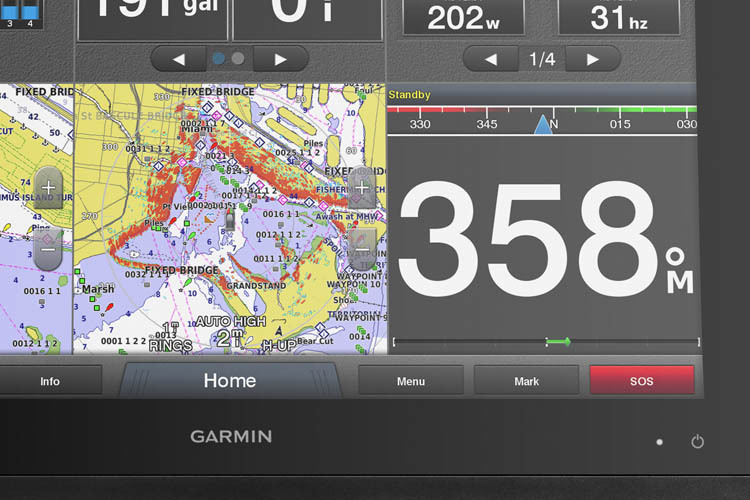 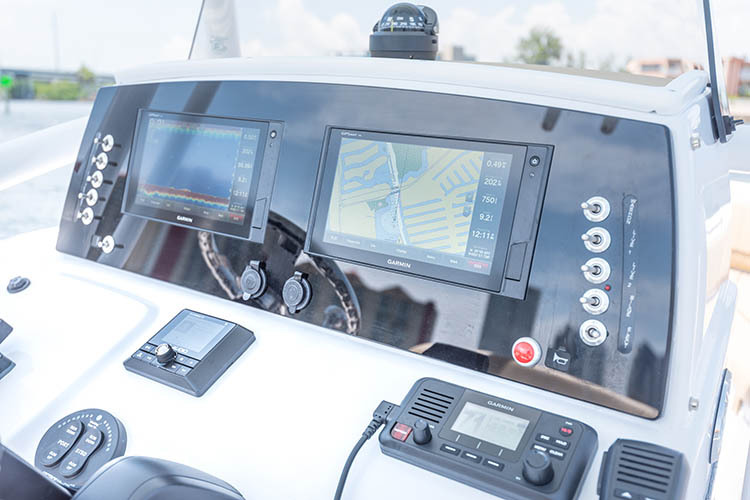 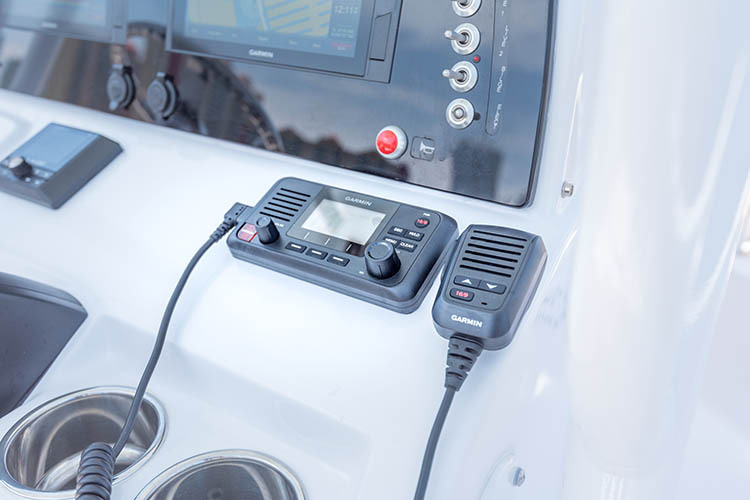 The LED Indicator feature shows you exactly where the tabs are positioned at the helm control. 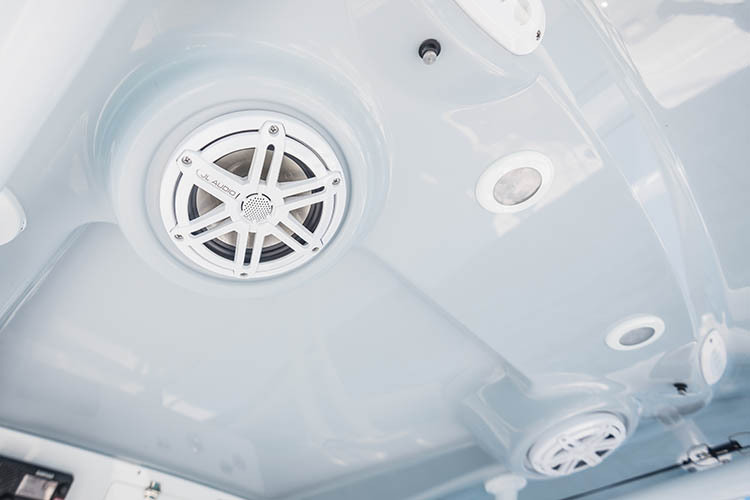 With its unlimited supply, it is the perfect companion for the freshwater washdown. 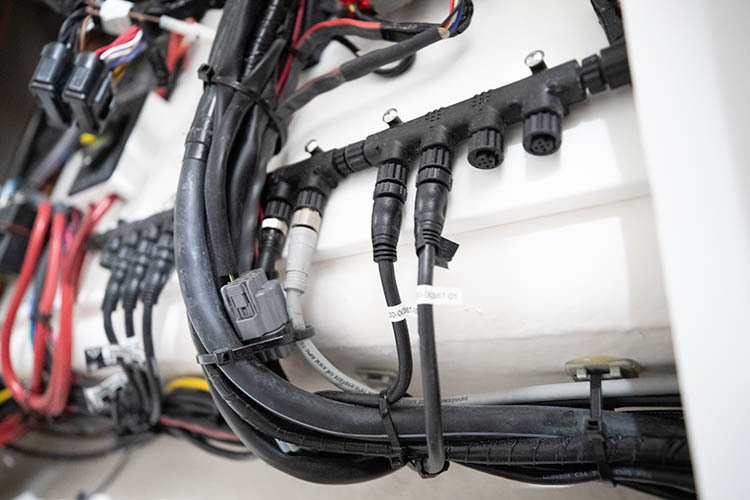 This system pumps outside water to a water outlet where you can screw in a regular hose. 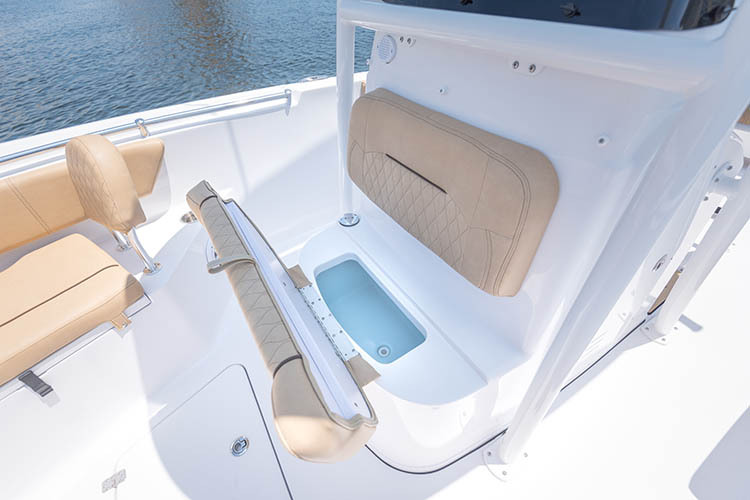 When it's time to fish, the rear bench conveniently stows away to open up cockpit space and make it easier to walk around the leaning post. 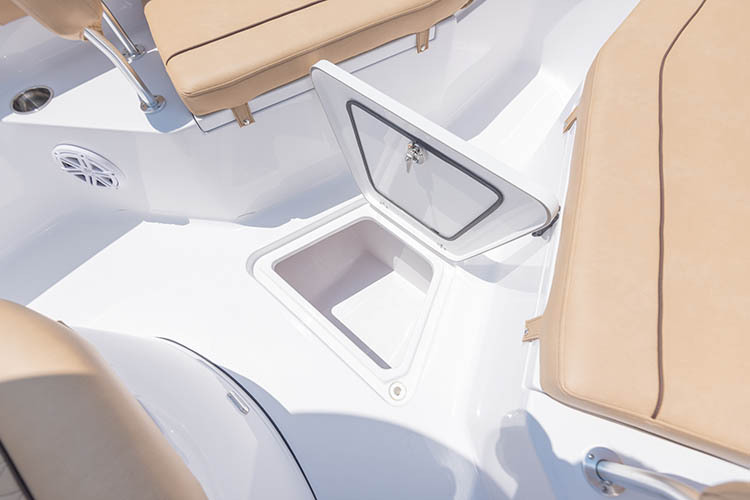 The seat bottom completely removes to reveal best-in-class access to the bilge. 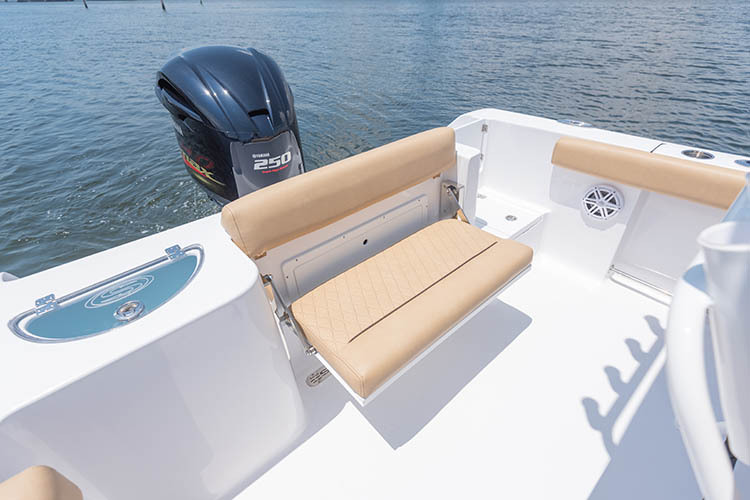 It seats 2-3 comfortably and has a deep design for comfort. 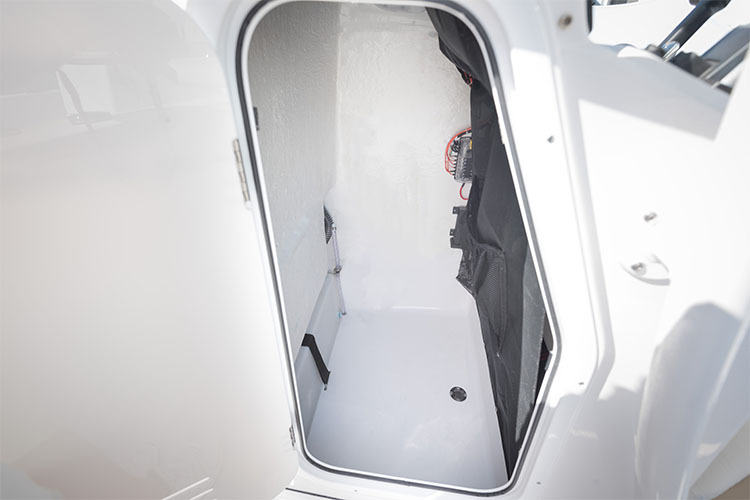 Deep 25-gallon transom insulated livewell at gunwale height for ease of use. 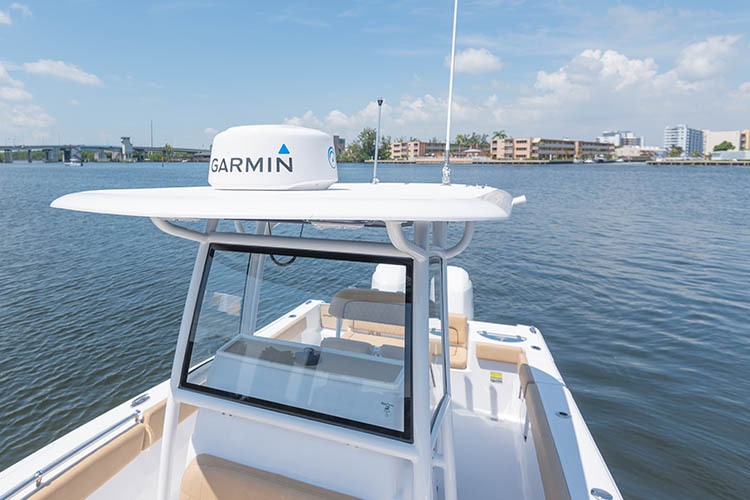 It can also double as a cooler for drinks and food. 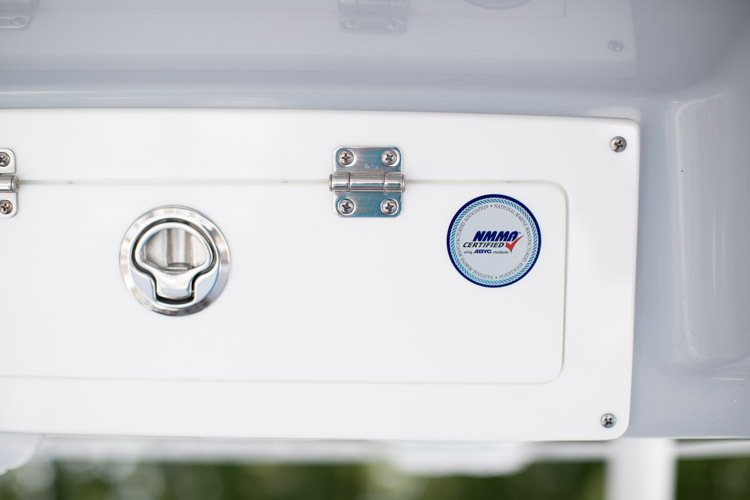 The rear Total Access Hatch gives you the ability to have large storage that's still incredibly easy to access. 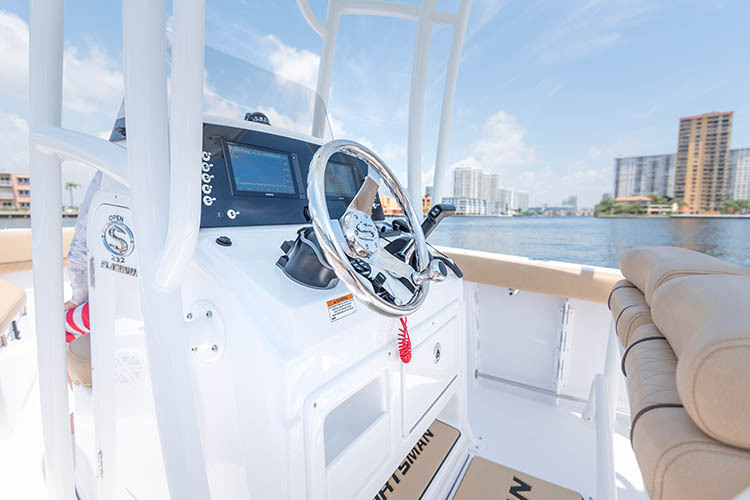 it's the perfect place for your life jackets, extra anchor, safety equipment, scuba gear and anything else you may need. 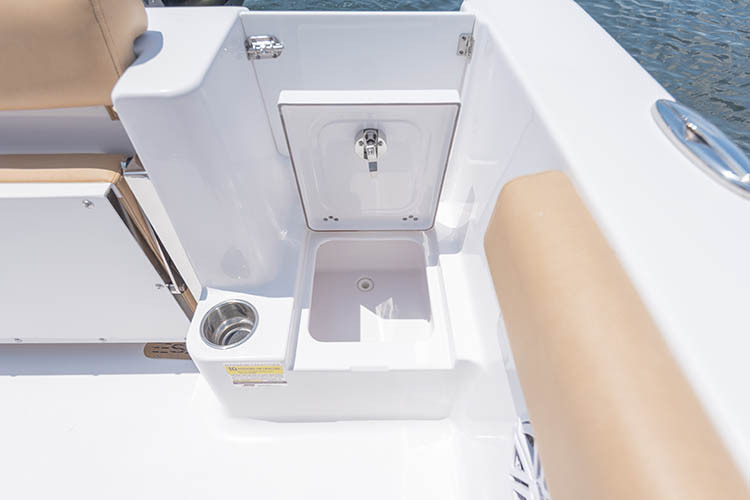 When empty, it offers best-in-class access to your essential pumps and seacocks. 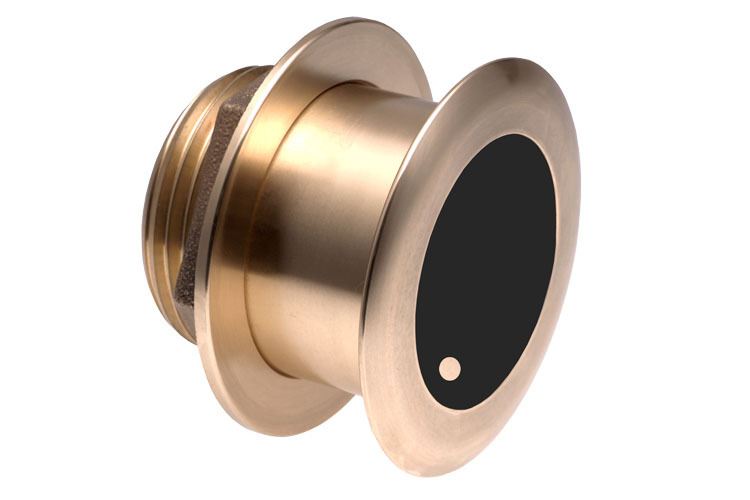 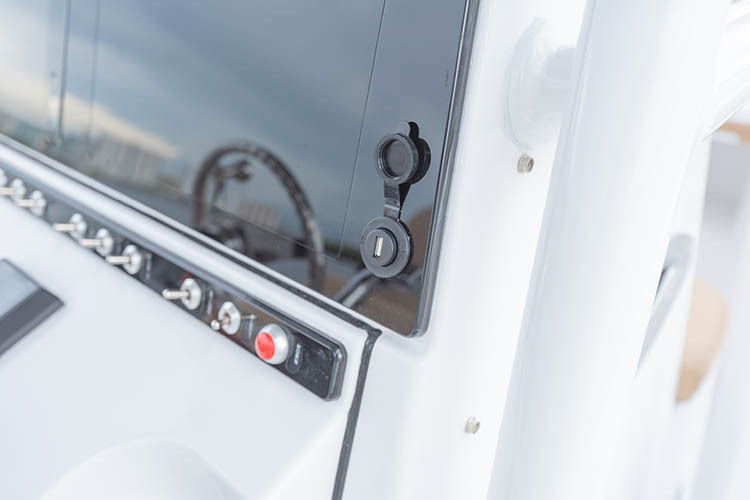 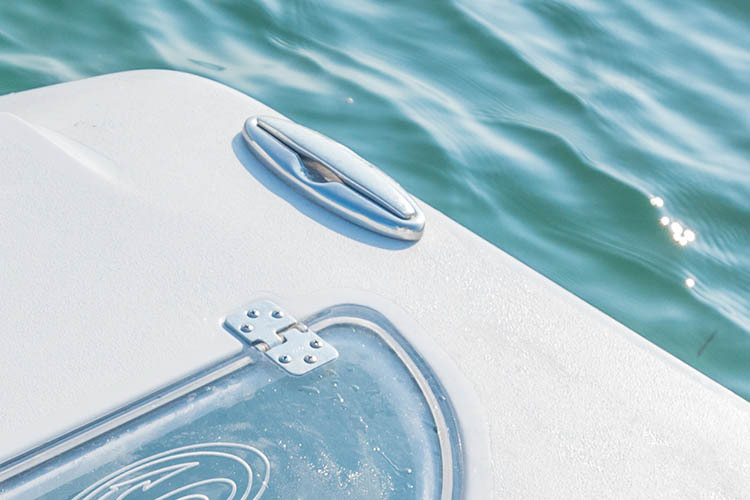 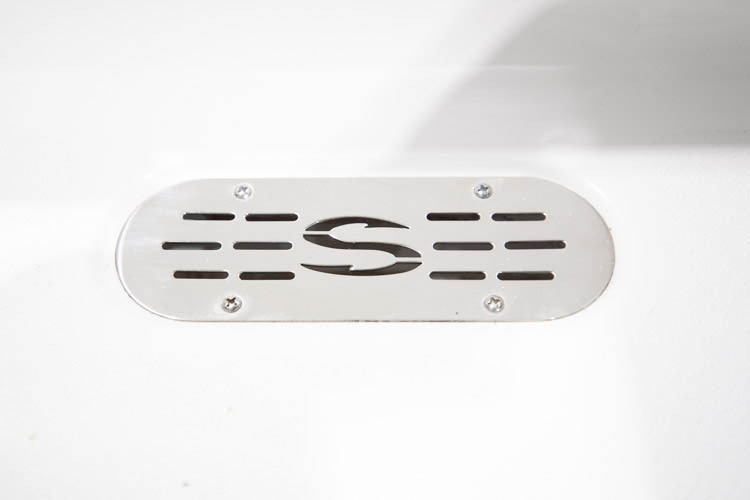 The transom door has a latch to secure it and it offers the convenience of not having to step over anything to enter the boat. 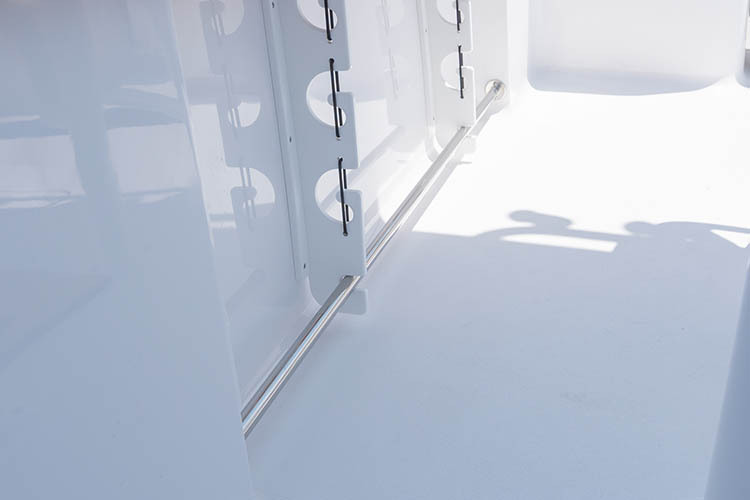 The step up for the door houses a small storage compartment ideal for docking lines and other small items that typically lay around the cockpit. 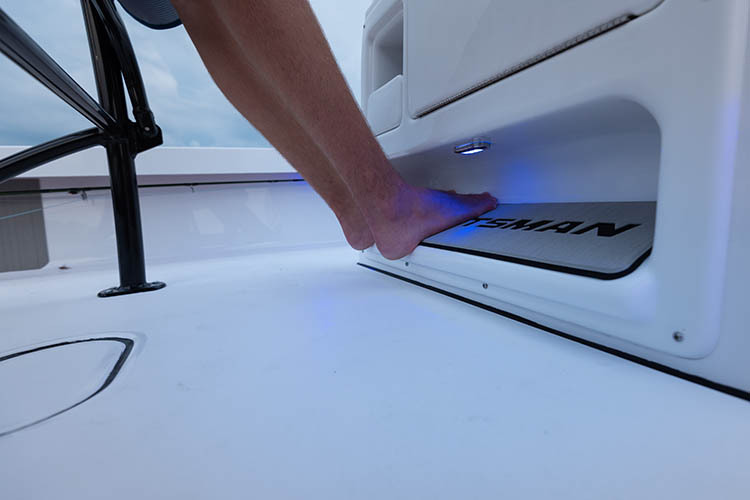 The compartment does drain to keep your items dry.